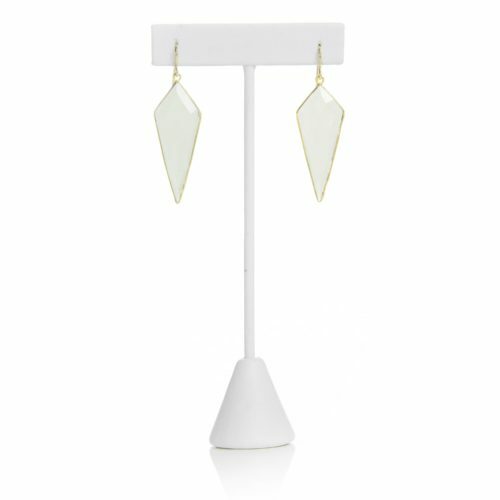 Faceted chalcedony and gold dangle earrings. 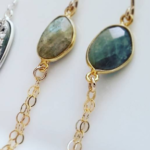 HANDCRAFTED ON A US BARRIER ISLAND WITH A CHALCEDONY GEMSTONE AND GOLD. INSPIRED BY A GODDESS OF HEALTH. Chalcedony brings the mind, body, emotions and spirit into harmony. It also absorbs negative energy. Gold attracts positive energy, wealth, and happiness.